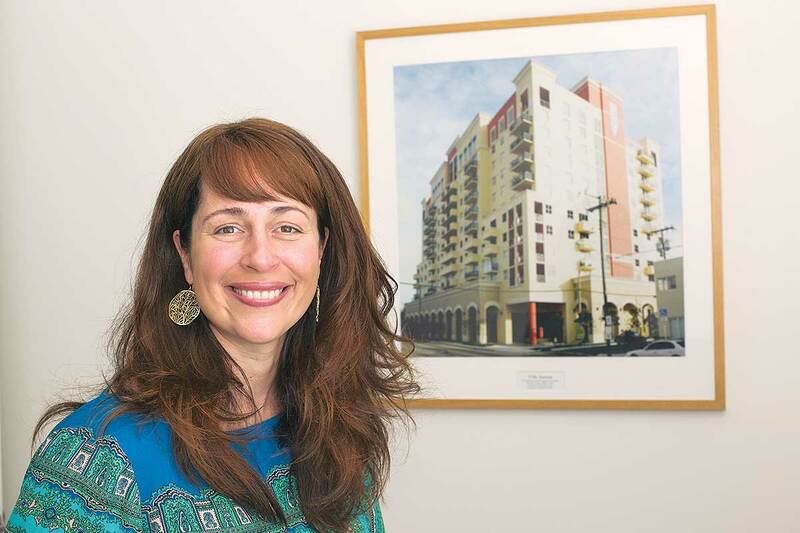 As president and CEO of Carrfour Supportive Housing, Stephanie Berman-Eisenberg notes a lot of misconceptions about the homeless and hopes this population will receive more empathy. Homelessness can occur for a number of reasons, she said, including job loss, caring for a severely sick child or being a veteran and returning home with no job or place to live. Carrfour – “crossroads” in French – competes in the world of for-profit affordable housing developers. The organization distinguishes itself, however, by providing services that Ms. Berman-Eisenberg said are critical to helping families turn lives around and stay housed, including case management, appointment and training services, recovery support, life skills training and parenting support. Established in 1993, Carrfour was born out of the Miami Greater Chamber of Commerce when members noted the local attention to the homeless situation, mainly for emergency shelters. A group of chamber members asked what happens after a quick emergency fix. The idea of Carrfour is to create permanent solutions for those leaving homelessness. Miami Today reporter Susan Danseyar interviewed Ms. Berman-Eisenberg in her office.